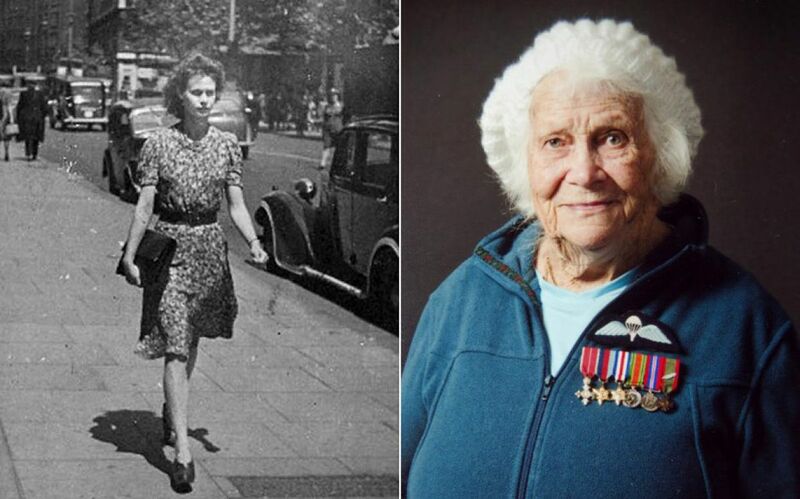 At age 23, British secret agent Phyllis Latour Doyle parachuted into occupied Normandy in May 1944 to gather intelligence on Nazi positions in preparation for D-Day. As an agent for the British Special Operations Executive (SOE), Doyle secretly relayed 135 coded messages to the British military before France’s liberation in August. For seventy years, her contributions to the war effort have been largely unheralded but, last week, the 93-year-old was finally given her due when she was awarded France’s highest honor, the Chevalier of the Legion of Honour. She also explained how she concealed her codes: “I always carried knitting because my codes were on a piece of silk — I had about 2000 I could use. When I used a code I would just pinprick it to indicate it had gone. I wrapped the piece of silk around a knitting needle and put it in a flat shoe lace which I used to tie my hair up.” Coded messages took a half an hour to send and the Germans could identify where a signal was sent from in an hour and a half so Doyle moved constantly to avoid detection. At times, she stayed with Allied sympathizers but often she had to sleep in forests and forage for food. During her months in Normandy, Doyle sent 135 secret messages — invaluable information on Nazi troop positions that was used to help Allied forces prepare for the Normandy landing on D-Day and during the subsequent military campaign. Doyle continued her mission until France’s liberation in August 1944.